WHEN ONLY THE BEST WILL DO! 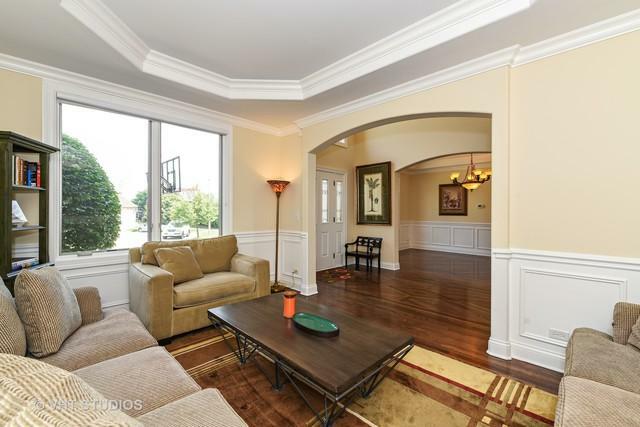 COME EXPERIENCE THE OPULENT LIFESTYLE IN THIS NEARLY 4,000 SQ FT, 5 BEDROOM 5 FULL BATH HOME! 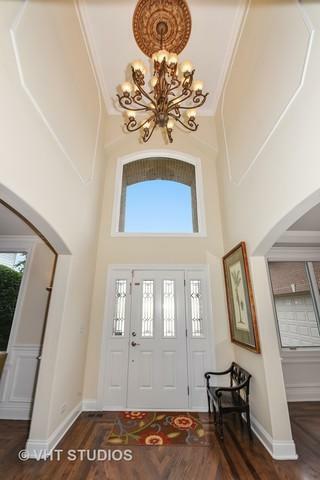 FROM THE GRAND 2 STY FOYER TO THE GLEAMING H/W FLOORS THE MOMENT YOU STEP FOOT IN YOU WILL FEEL THE QUALITY OF CONSTRUCTION! 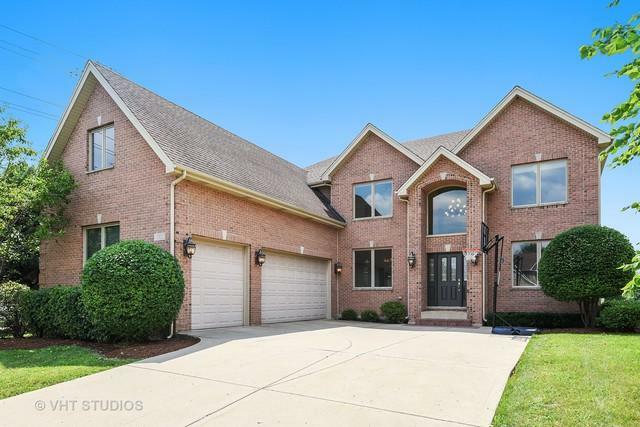 3/4 BRICK/1/4 HARDIE BOARD, 9' 1ST FL CEILINGS, WAINSCOTING/CHAIR RAILING T/O, 1ST FLOOR DEN/LIBRARY/6TH BEDROOM WITH REMODELED 1ST FL FULL BATH, 2 STY FAM ROOM WITH STONE FIREPLACE, ENORMOUS CHEFS KITCHEN W/CUSTOM CABINETRY/GRANITE COUNTERS/BREAKFAST BAR & LG EAT-IN AREA! 5 UPPER LEVEL BEDROOMS/3 FULL BATHS/JACK & JILL ARRANGEMENT. MASTER SUITE HAS STUNNING TRAY CEILINGS/SUMPTUOUS BATH WITH WHIRLPOOL/SEP SHOWER/DUAL SINKS/13X10 WALK IN CLOSET! 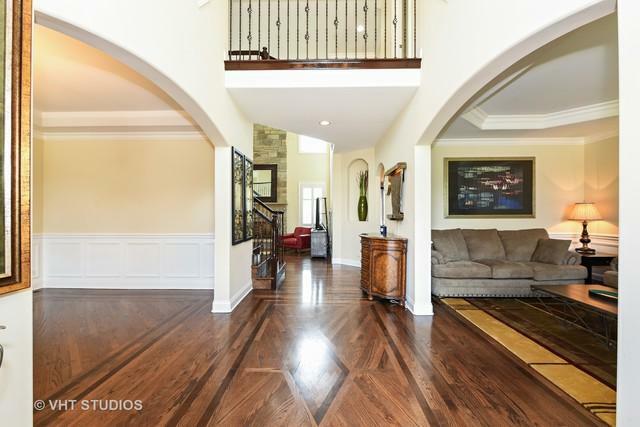 WALKWAY W/WROUGHT IRON SPINDLES OVERLOOKING FAM ROOM! FULL FINISHED ENG BASEMENT WITH 9'+ CEILINGS, MEDIA ROOM, MASSIVE REC ROOM AND A 2ND KITCHEN & FULL BATH! ATTACHED 3 CAR GARAGE, CENTRAL VAC, INTERCOM! LOCATED JUST MINUTES TO EXPRESSWAY & ROSELLE/SCHAUMBURG METRA! ULTRA LOW PROPERTY TAXES!